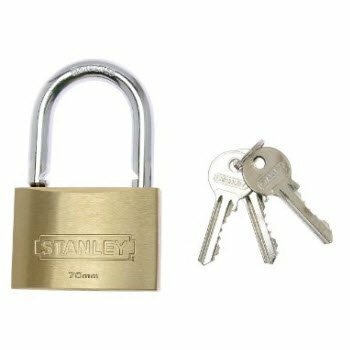 Amazon offering Stanley Solid Brass Standard Shackle Padlock 60mm Rs. 534, at 40% discount. Security ratings tested to ASTM and AS australian standards.